Welcome to 2018-2019, Concordia Academy’s 125th Academic Year! That’s right...125 years ago, CA began as the prep school for Concordia College, St. Paul. Years later, we left the CSP campus, merged with St. Paul Lutheran High School in Roseville, and became Concordia Academy. Whether Meteors or Beacons, located in St. Paul or Roseville, blue and gold or green and white, a CSP prep school or independent institution, we have remained a school with Christ at the center. We have remained a school committed to honoring God through excellence. 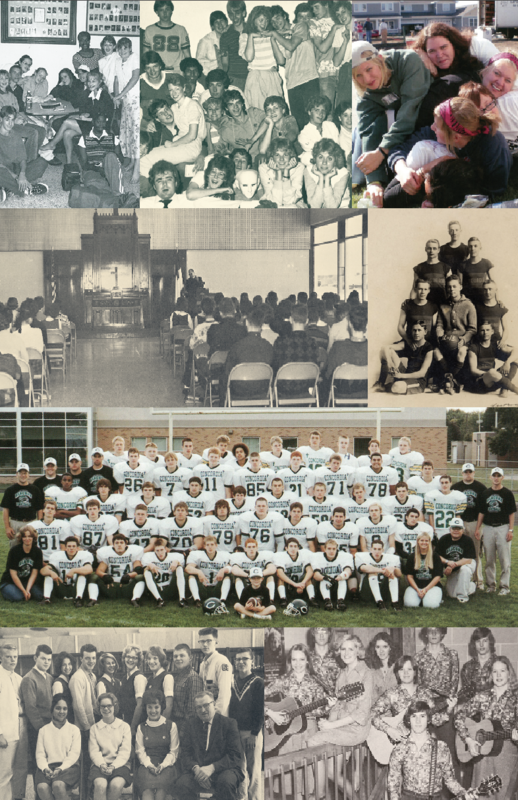 And we have remained a school that seeks to be a beacon of God’s love. Throughout this year, you’ll frequently see our “125 Years In The Light” anniversary logo. It includes both past and present school colors and features a starburst (from the current CA logo) radiating outward, serving to tie together CA’s past, CA’s present, and CA’s continued mission. You can also keep informed about anniversary events and news by making sure we have current contact information. Alumni and families can update their information by clicking here or by emailing lisa.sell@concordiaacademy.com. As part of the 125th Anniversary Celebration, CA would also like to recognize the connections of love and marriage through the decades as well as families with multiple generations who have attended CA. If you married your CA high school sweetheart or are part of a multi-generation CA family, tell us by filling out this Alumni Update Form. Celebrate CA with an outdoor party, including live music, kids activities (inflatables, games, and more), dinner, a beer tent, and so many memories! It’s an all-school reunion for everyone who loves CA: alumni, former staff, parents, association church members, community members, and all friends of Concordia Academy! Dinner (served 4-6 PM) includes pulled pork, sides, and a beverage. Tickets are $10 for adults. Children (under 18 years old) are free. To help us properly plan, advance reservations are required. Click here to purchase your tickets. 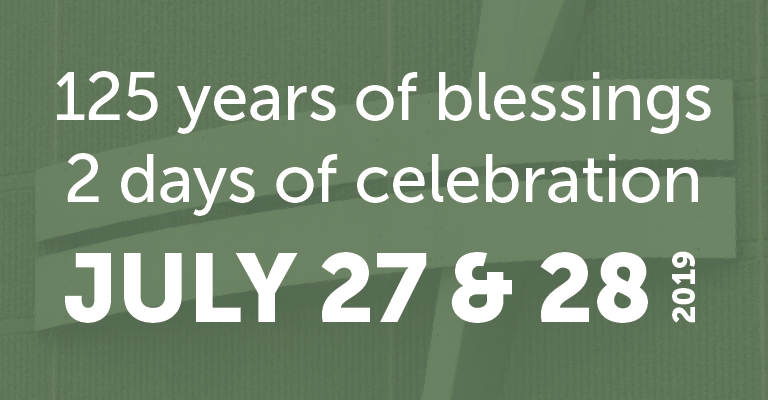 Join our association churches (past and present) for an outdoor worship service at CA thanking and praising God for 125 years of ministry at Concordia Academy. Since Day 1, taking time to worship has been a priority at Concordia Academy. We can’t think of a more fitting way to bring our 125th Anniversary celebration to a close than with prayer, praise, and worship!